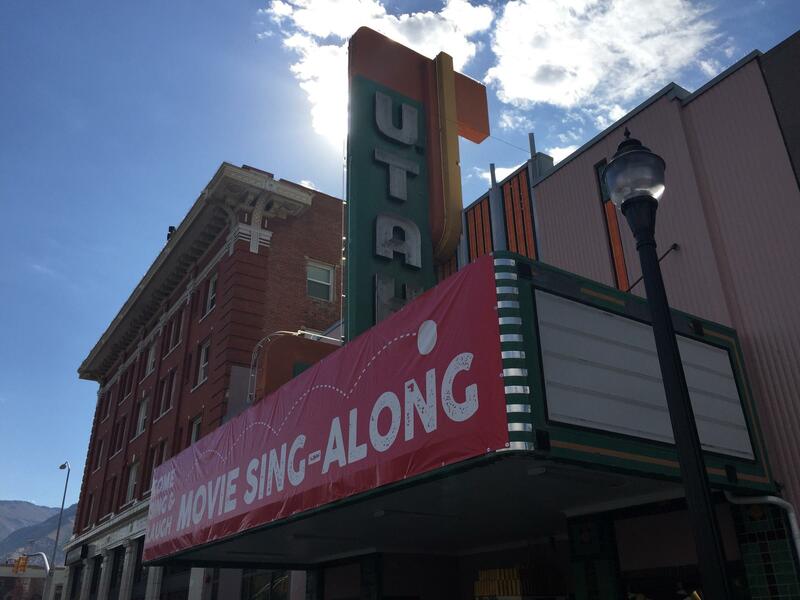 The Utah Theater is one of several operating theaters in Logan. Cache Valley theater arts organizers are hoping to create a special theater district in downtown Logan. 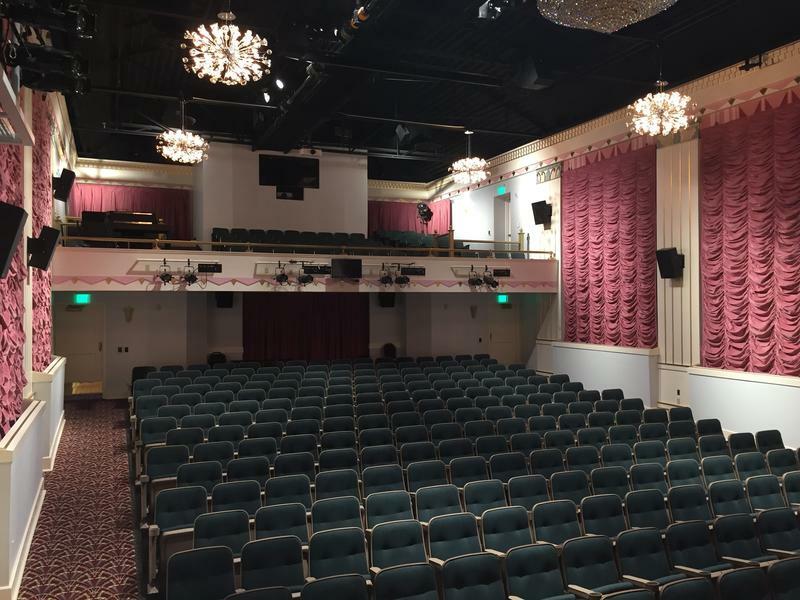 The district would feature renovated buildings and performance halls dating back to the early 20th Century when four theaters were built on Logan's Main and Center streets. As early as 1913, the city of Logan had requests from professional performers working the vaudeville circuit who were looking to make money traveling from major stops in Utah to Idaho. Logan was a logical place to perform and had a reputation as being a strong arts community, even then. Hassan has been meeting with representatives of theater organizations, including Utah State University, which owns and operates the Lyric Theatre. The non-profit Utah Festival Opera manages the Utah Theater, and the CVCA operates and oversees management of the Ellen Eccles Theater. Each of these historic theaters provides space for cultural and entertainment events. Together, they make up a unique grouping of theater venues that in 2016 entertained more than 11,000 audience members. One of the first buildings that the settlers would build, she said, would be a communal space that would be a school, a church and a performance hall. The CVCA is housed on Logan’s Main Street to the south of Center Street. The building is part of the Ellen Eccles Theatre complex, where the original Thatcher Opera House was built and later burned to the ground in 1912. "In 1890, it was the first proper brick building built in Cache Valley,” she said. “Funny story, it was the first electrically wired building in town so the local paper actually bragged ‘no chance of fire’. It was actually reported in the local paper on the same day that the sinking of the Titanic was reported. So, big front page story ‘Worst Fire In Cache Valley History Destroys Beloved Thatcher Opera House’. Little, tiny story ‘Titanic Sinks’. The Thatcher family used the first two floors of their opera house as a bank. “That visionary leadership, that visionary investment of Cache Valley citizens in the early 20th century, means that we still have a pretty amazing arts presence today,” Hassan said. Down the street from the Ellen Eccles Theater, to the north and around the corner, is where professional and local actors rehearse and perform beginning in June. The Lyric Theatre replaced the destroyed opera house in 1913. At the time, it became the showcase show place and is still popular today. The Summer 2017 Lyric Repertory Company season will include a celebration marking 50 years since USU made renovations to the popular pink building. Next door to the Lyric Theater is another theater that was built in 1924. The beautiful interior detail work was done by an artist from Florence, Italy. “It’s a pretty remarkable way of building community and building on that investment. It’s also a major economic driver for the region,” she said. 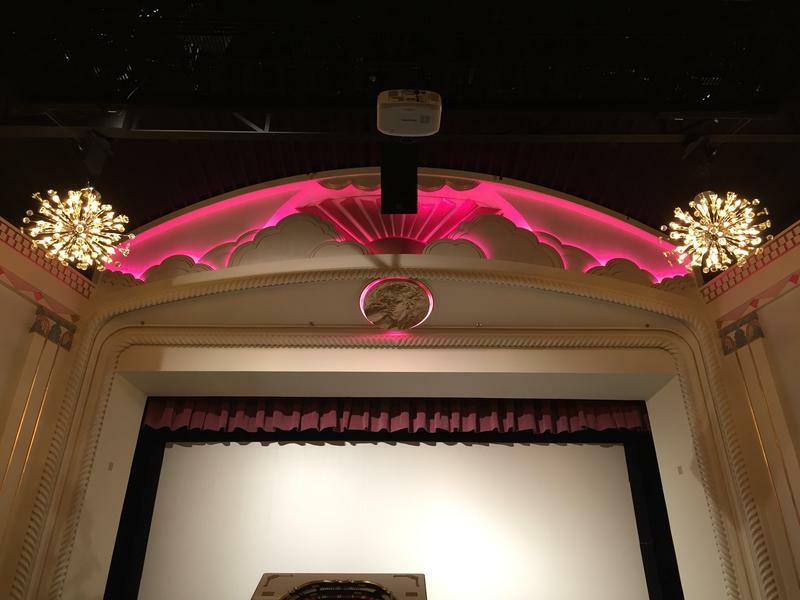 To help promote the unique historic nature of having three functioning theaters downtown, Hassan is working with Logan City and Cache County to pass a joint resolution that would create a special theater district from Main Street and 100 West and Center Street and 100 South in Logan. “One of the things people that visit the valley say is that we’ve got a real asset here with our theater district and that we ought to be putting that we ought to be putting that out there so people are more likely to come and visit,” said Cache County Executive Director Craig Buttars. Having Cache County involved in the special district, he says, will encourage and possibly provide a way for outside communities to promote the arts. Hassan said that during meetings with city and county leaders their discussions include finding ways to help community leaders in Wellsville promote and hold events at the counties first tabernacle there. In Hyrum there is a popular Elite Hall dance venue. A Carnegie Library is located in Richmond, and both Lewiston and Smithfield have historic theaters that could be added to a list of Cache Valley communities where historic theaters can be found. Hassan says Logan Mayor Craig Petersen is working with city officials to review and consider a special theater district. The proposal is scheduled to be discussed during Tuesdays’ Logan City Council meeting.